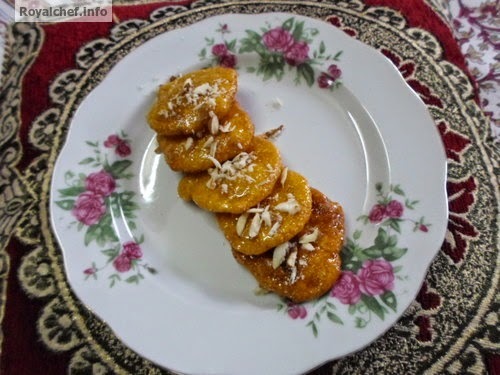 This is a Recipe for making at home sweet and delicious Mithai Shop Style Malpua with Mango flavor. 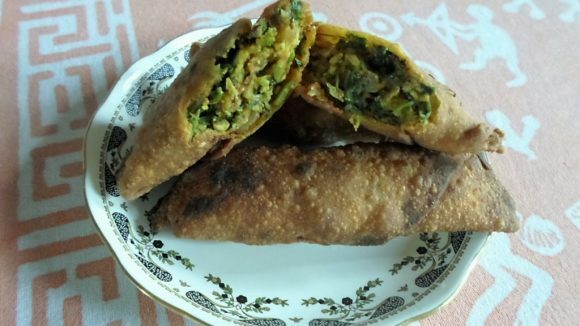 The Aam Ka Malpua is a dish created by me combining Malpuas with the pulp of the tasty and famous Haapus or Alphonso Mangoes. In a vessel add the Sugar, Water and Saffron and keep the vessel on a slow flame for preparing Sugar syrup. The Sugar syrup must be slightly sticky. Then add the Cardamom powder. The Sugar Syrup is ready. In a bowl, take Maida, Suji, Mango Pulp and Milk and beat them to prepare a batter. Heat the Ghee in a Kadhai and then put the batter spoon by spoon to prepare small round shapes. And then deep fry until the color changes in to golden yellow. Then dip the fried Malpua in the Sugar syrup for 4-5 minutes and remove them and keep them in a plate.